Also this week, Facebook said it would ban adverts for digital currencies. What's the fuss about Bitcoin? Other countries have already expressed concerns about such entities. China and South Korea have banned any new virtual currency launches and have been shutting down exchanges on which they are traded. The UK's Financial Conduct Authority warned investors in September they could lose all their money if they buy digital currencies issued by firms, known as "initial coin offerings". Bitcoins are created through a complex process known as "mining", and then monitored by a network of computers across the world. Last year, two of the world's largest commodity exchanges, the CBOE futures exchange and the Chicago Mercantile Exchange, both allowed trading in Bitcoin futures. 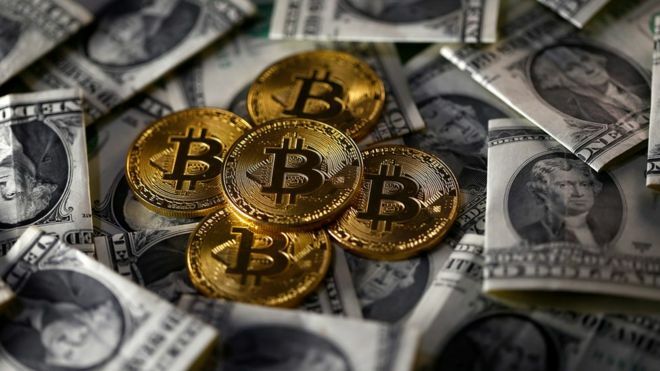 Bitcoin is the most widely traded cryptocurrency, but there are scores of others, the majority of which also fell on Friday, according to the Coinmarketcap.com price tracker. The second and third largest virtual currencies, Ethereum and Ripple, plunged more than 20%, before a slight pull-back in the price.